A Spectacular Event - A Filament/Prominence Eruption to Blow Your Socks Off! 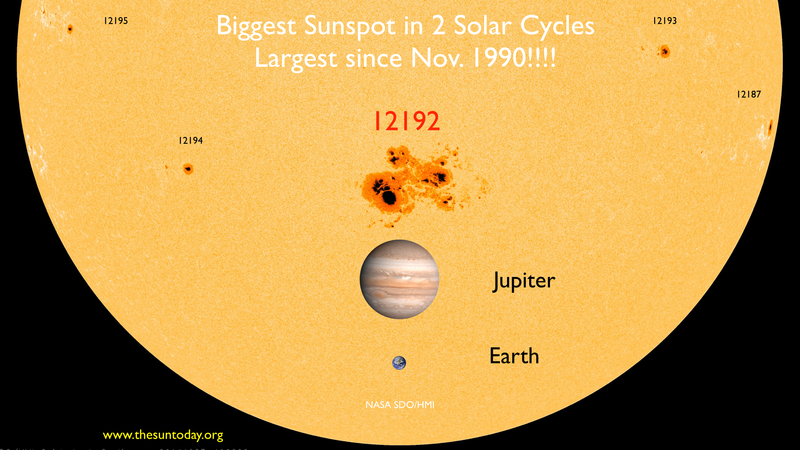 - The Sun Today with C. Alex Young, Ph.D.
A Spectacular Event – A Filament/Prominence Eruption to Blow Your Socks Off! Solar Hibernation: Much Ado About Nothing? Wow! This solar event has it all! I woke up this morning first to a NOAA solar proton storm warning then an email from my office mate and helioviewer.org creator, Dr. Jack Ireland. The email was titled, “Never seen anything like this before – spectacular”. And he wasn’t kidding! The event had everything, a solar flare, a coronal wave, a filament eruption, coronal rain and a coronal mass ejection, just to name a few. Here is a quick video I made this morning just after getting up. I made the SDO videos at helioviewer.org and I posted the individual SDO videos for the 3 wavelengths. This event has already gained a lot of attention from others so we expect to see many posts and articles in the next few days. Keep your eyes out for more data and information as it becomes available! long time ago, the telegraph lines were put out of service because of the sun- just think of what could happen in this age, the atm – cash regesters – computers – the compressors that keep the food cold in the stores – any and all things that use the power grid could go down in a New York second. We would and could go back to the 1800s in about the time it took for me to type this letter. Was wondering what you could share with me on solar panels on earth. Could solar flares cause interuptions at the house lvl/here. Perhaps just the small transformers… though we are talking basement here. As an ex vet; electromagnetic energy was taken seriously; though I don’t know how this would all pan out in the future. Just started thinking about it. so… could you put some of those chunks (or drops, or whatever you want to call them) which we see splashing down in perspective for size? How big are the ones we see splashing in in comparison to the Earth? Does this mean that we are going to have auroras for the ones we are very up in the north or is too bright for that? While attending Texas Tech Univ in the early 1970’s, Prof Gott of their Physics/Astronomy Dept wanted to do some solar research. We built a spectra-heliograph and tracking mirror along with installing a 12” diameter steel tube from the roof to the basement so we could study “sun spots”. Very interesting study. Prof Gott published a paper on the subject with his photos and won an award. It’s been too may years to remember the details, but it was a well learned lesson. It helped me get a BS in Engineering Physics. Regards, George Reagan. Wow, what a fantastic set of videos/images. Same I’m in the wrong location to see the auroras. If we look at the astronomical size of universe compared to our planet, but which is absolutely unique, what do we think we are? Aren’t we completely depending on a Loving Hand? In this case of extreme sun explosions: do not fear, but let us just admit, that God’s got the whole universe in His hand, so what could happen to us? Looking at this all, it is incredible, that some still do not believe! This is so exciting to see. Thank you for these rare images. I will post a link to your site. Wonderfu;! Mesmerizing! I’ve seen hundreds of flares and eruptions over the years, but never anything quite like this. Well, we are entering the build up of another solar cycle, so we shall see more of this I venture over the coming years. Never have we had the assets in orbit to track & monitor Sol as we do today. We should learn allot over this active part of the cycle. Enough I’d wager, that we’ll be re-writing our text books in regards to our knowledge of our closest star. I was wondering if you could comment on some of the physical characteristics of the CME? How big is it? What is the velocity of the ejected matter? What was the time period of the eruption? Did the 20 seconds of video take 20 seconds or a few hours? Are these sequences running at 1:1 in time or time lapse? Notice a shockwave at the time of the initial burst that in a second or so (as seen) covers a quarter of the diameter. So, close to the speed of light? The mass trajectories are much slower, taking tens of seconds for the same distance which aligns with the given speed of 20,000km/sec or so. In comparison, the Earth is a VERY small ‘pea’ or ‘BB’ next to a basketball. An utterly brilliant video that SHOULD be used in classrooms all over the world in regard to size comparisons of planets and stars within our universe is here: http://www.youtube.com/watch?v=HEheh1BH34Q. Hola, es muy bello. Gracias por mostrarlo. Saludos.